Are you find all you are looking for in an essential Smartphone with the latest Motorola Moto C Plus – with an affordable device packed with specification that give new smart-phone users the very long battery life, performance and speed they need. All Pakistani users’ main need is the Battery time due to load shedding and the outing lonely with their mobile phone that is solved by Motorola mobile. The new Motorola Moto C Plus by Jazz is one of the long battery mobile with the elegant shape and high speed as compared to the other same price mobile. The Motorola Moto C Plus Price in Pakistan is looking around the 130$ that are like the other mobile brands of cheap category. But the other having 16GB Built-in, 2GB RAM and 1.3 Ghz Quad Core Cortex-A53 Processor have big price about 250$’s. So the time of the battery is enough for two full usage. The (Li-Po Removable), 4000 mAh long battery is more that enough and will give you high usage time with wifi and mobile data connectivity. The main camera of Motorola Moto C Plus 8 MP, Auto-focus is with LED Flash light that enhance your colors and day light feeling in night. The other features include 1.12 Âµm pixel size, geo-tagging, touch focus, face detection, panorama, HDR and making of HD Video (720p@30fps) for your memory in low price. The Front camera Is 2 MP, f/2.8 and having LED flash for good selfie experiences. The colors are vibrant and scheme is best for decent usage. You can avail Free 6GB LTE internet for 6 Months is you buy Motorola Moto C Plus from Motorola Jazz Offer. 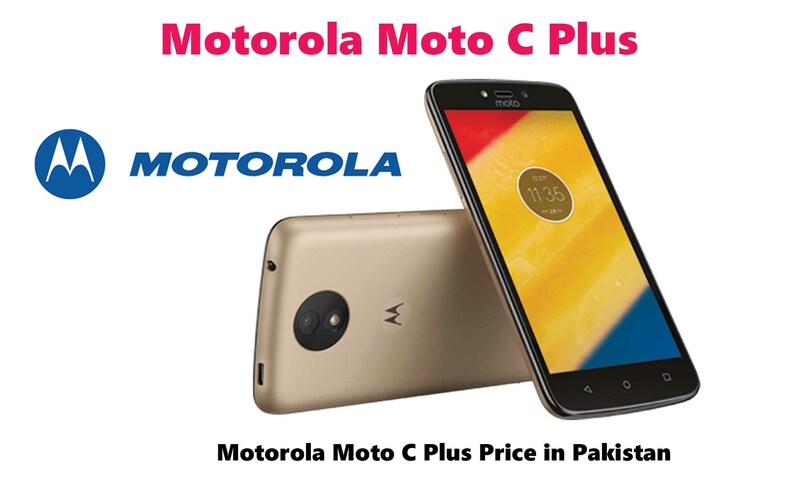 Find new Motorola Moto C Plus Price in Pakistan – Full Specifications & Reviews below. The free bundle offer is valid for both Prepaid & Postpaid users. All mobiles sold by Jazz are come under 01 year warranty.